USANA, word! : Prevention is Better than Cure! April this year seems to be buzzed by the Royal Wedding and the Easter/Anzac long weekend, but in the world of health, World Health Day is celebrated today, the 7th of April. This is a day when we all should stop and appreciate our health and spare a thought for those who perhaps are undergoing illness. While world over, organisations and health groups are emphasising on the topic of Antimicrobial resistance, at USANA, we would like to take this opportunity to remind you – Prevention is better than cure! We believe in the importance of Optimal Cellular Nutrition for a Healthy Living. Optimal health could be achieved by exercise program and steady supply of vitamins, antioxidants, minerals and other essential nutrients. Ideally, we should get these nutrients from healthy, varied diet, but consistently eating healthy seems to be a real challenge in today’s world, plus the fact that we will not be able to eat sufficient variety of food groups to meet our everyday nutrition needs. This is why taking nutritional supplements becomes important. So what nutritional supplements shall we take? If you spend a couple of minutes to take a free USANA Health Assessment, you will find some useful health advice. 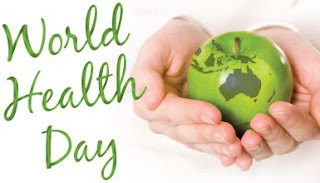 Let’s celebrate the special day of health together!